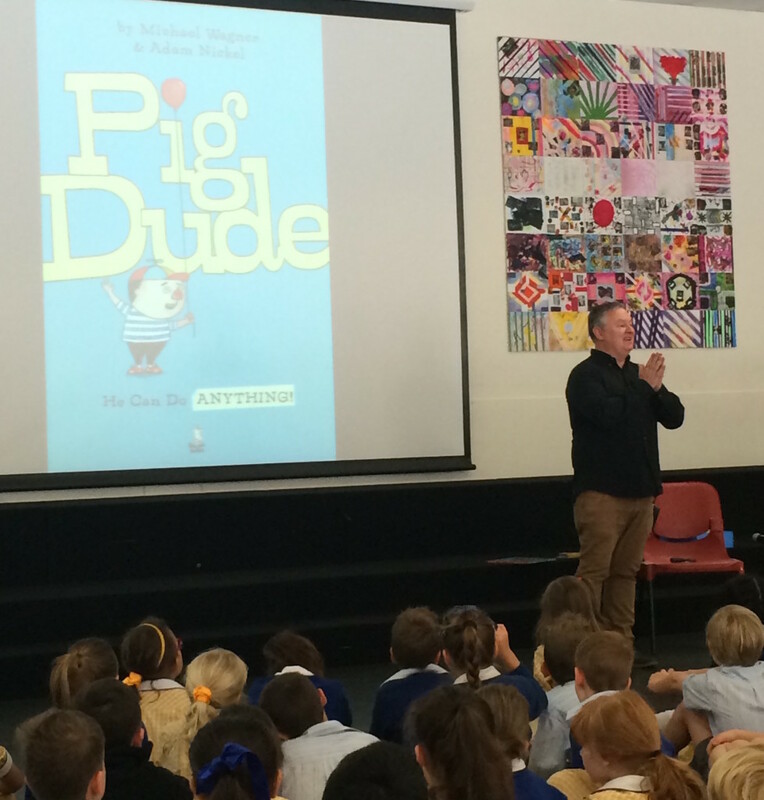 I’ve been having so much fun on a little tour to launch my latest book, Pig Dude: He Can Do ANYTHING! 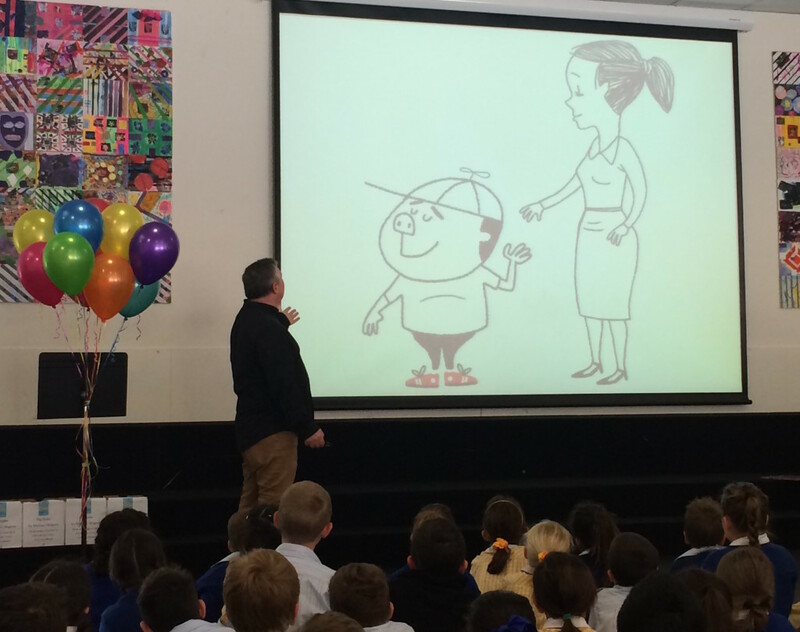 All up I’m visiting six of my favourite schools and giving them a free 45 min talk which ends with a book launch, something many kids have never seen. At the end of the session, a few of the kids and I ‘launch’ Pig Dude into the world symbollically. 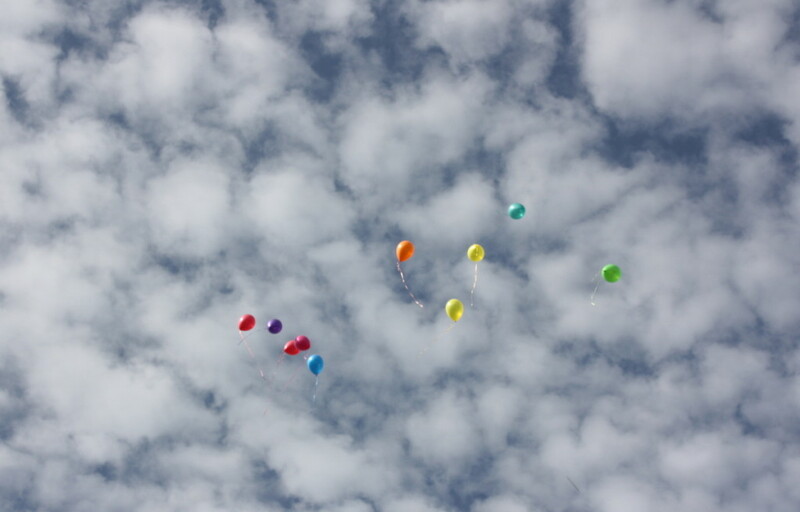 We do it by releasing ten (biodegradable) balloons into the sky. And then I sell and sign copies of the book to the students. 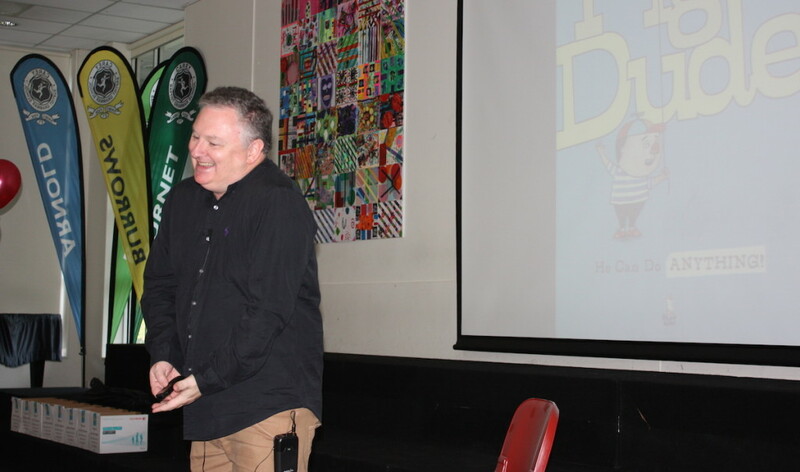 It’s been such a joyous series of events and the schools have been fantastically supportive that I wanted to share a couple of the photos that were taken at Carey Grammar in Kew, Victoria. 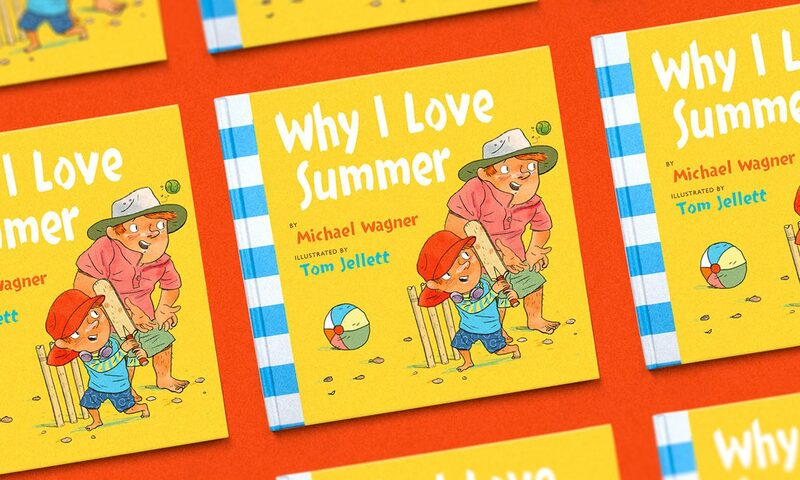 I wish I could show you the kids’ faces as well – there was so much happiness in the air.